Impact NW and the YWCA joined forces in 2014 by forming a shared management agreement to increase their expertise and effectiveness in improving lives for thousands of people in the Portland metro area. Today, the two nonprofit organizations are pleased to announce an expansion of their partnership with new leadership and collaboration. “It is with great excitement that we announce expanded leadership within these two organizations as we continue to grow and address the increasing need of residents of the region,” said Susan I. Stoltenberg, who has served as Executive Director of both organizations since January 2014. Effective July 1, 2016, Stoltenberg transitioned to become the Executive Director of the YWCA of Greater Portland. 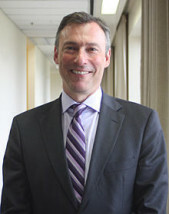 Impact NW’s Managing Director, Jeff Cogen, now serves as the Executive Director of Impact NW. Over the past two years, the YWCA of Greater Portland has experienced significant growth in its operating budget (an increase of $3 million), programs, and the number of people it serves. With continued emphasis on empowering women and eliminating racism, the YWCA has expanded and established new programs, including working with incarcerated mothers to stop the intergenerational cycle of criminal activity in their families and re-establish bonds with their children; expanded domestic violence services aimed at increasing the safety, economic security, and housing stability of survivors; and high quality social justice training programs. Impact NW’s scope and effectiveness of addressing the needs of our region’s most vulnerable populations continues to adapt with the ever changing socio-economic environment of the Portland metro region. New programs have been established to address economic security for young adults; housing for veterans and families; and the development and education of our youngest residents–all with the goal of ending the intergenerational cycle of poverty. The Board of Directors has provided oversight to both organizations since their partnership began and will continue to govern both organizations. It plans further alignment among the two organizations, with combined budgets of $14 million and service to more than 40,000 people in the Portland-Vancouver region. Impact NW has further increased its leadership by naming Andy Nelson, former CEO of Big Brothers Big Sisters, as Associate Director. Nelson previously served as Executive Director of Hands On Greater Portland. Alexis Packard, who served as Development Director for both organizations, has transitioned to become the Development Director of the YWCA of Greater Portland. Packard joined Impact NW and the YWCA in 2015 and previously served as Development Director for the Society of St. Vincent de Paul Portland Council. Susan Stoltenberg is a recognized leader in the Portland community, having served as executive director of many agencies over the past 40 years, including Cascade AIDS Project, Mt. Scott Park Center for Learning, The New Rose Theatre, and Open Adoption & Family Services. She has demonstrated successful leadership skills in non-profit organizational, financial and program development, education, marketing, advocacy, fundraising, and outreach. 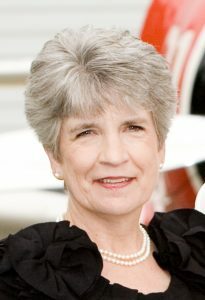 She is currently the co-chair of the Washington County Kids Fund, on the executive committee of Rockwood Pathways Project. Stoltenberg’s legacy of creatively stewarding organizations toward growth and greater mission fulfillment will serve the YWCA of Greater Portland and the many women, children and families well into the future. Jeff Cogen is an attorney and entrepreneur as well as a seasoned community leader who served as Chief of Staff for City Commissioner Dan Saltzman before being elected as Multnomah County Commissioner and County Chairman. He served as board chair for the Portland Human Rights Commission, the Governor’s Transportation Electrification Commission and Hands On Greater Portland. His experience in operations and publicly funded organizations coupled with his passion in creating possibilities for all children and families will help take Impact NW through its next chapter. Impact NW is a premier provider of educational and social services in the greater Portland metro area. The organization’s mission is to help people prosper through a community of support. Since 1966, Impact NW has been a leader in providing individuals of all ages with the skills and resources necessary to achieve success and to advocate for themselves and their communities. Annually, over 36,000 low-income children, youth, families, seniors, and adults with disabilities participate in Impact NW’s comprehensive anti-poverty programs. Fun at Oaks Amusement Park for Club Impact Our generous partners filled our food pantry!